Please select an option Orange Black Blue Green Please select a color. Material: durable waterproof nylon fabric. The Open length: 75 cm. Practical small handbag for men, women, children and babies for travel.Simultaneously, make-up, used for gym, camping, school, climbing mountains, gym, business trips, vacations and much more. It is also an ideal gift for parents, children and couples. 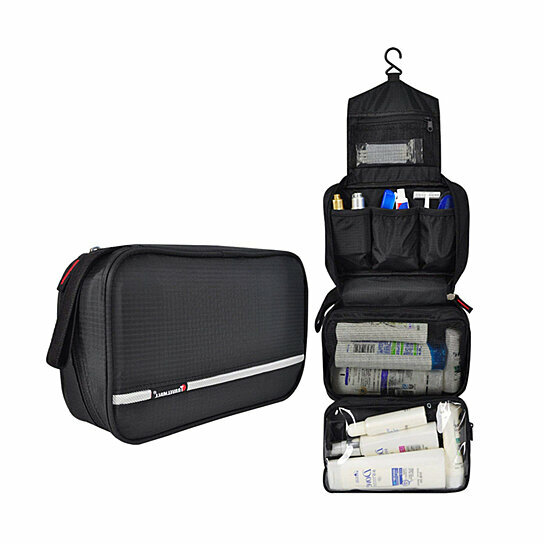 Improved Waterproof Fabric, Do not worry when you use it in the bathroom since this toilet bag, toilet, It is made of Oxford cloth, waterproof, break and wear, With practical zip and multiple pockets guarantee a good comfort of use.